Lunar New Year or Chinese New Year is February 8th this year and as a tradition, my grandmother started making 年糕 (Nian Gao – year cakes). 年糕 (Nian gao) is traditionally eaten during the Lunar New Year for good luck. Even though my grandmother has immigrated to the United States for more than 30 years, she still keeps the tradition of making nian gao for Chinese New Years. My grandmother’s nian gao is more Cantonese style which is produced using sweet rice and sugar. 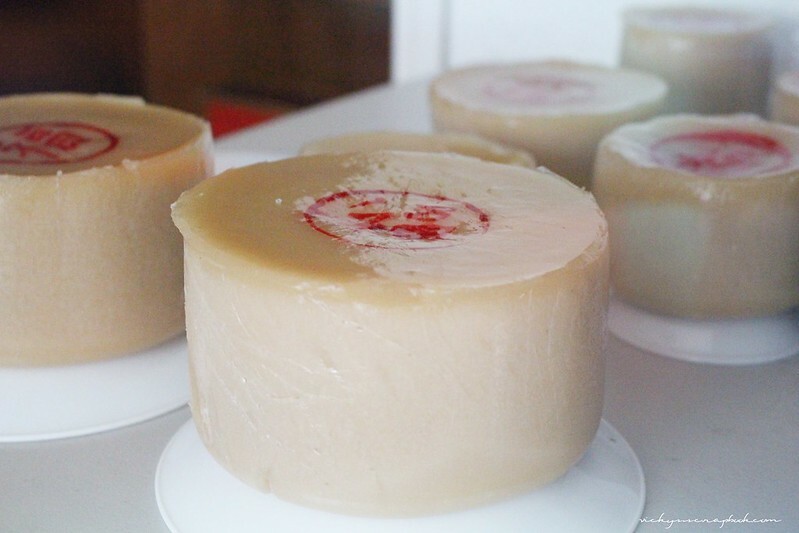 Unlike other cakes, nian gao is normally steamed until it solidifies, and the texture is extremely sticky. It’s typically served in slices and it could be eaten as is or cooked in other ways; I prefer to have it pan-fried with eggs though. Since my grandmother has been making these cakes for the past few days in preparation for the New Year, I thought it would be pretty interesting to make one myself too. Of course, my cake is not edible. I started with a small piece of polymer clay in the color Ecru and rolled it into a small ball shape. Using a ruler, I flattened it so it was a cake shape. Moving on, I colored it using brown and orange chalk pastels before placing it the toaster oven to bake (the baking step always makes me feel like it’s a real piece of food!). After the baking, I used a red sharpie and pencil to form a circle in the middle and using a red pen I wrote in the word 福 (fu), which means good luck or fortune. The final step is to glaze the whole nian gao and wait for it to dry. I can’t wait to eat some 年糕 (Nian Gao)! If you celebrate the lunar new year, how will you be celebrating? P.S. I’m thinking about starting an Etsy shop again. Anyone have any suggestions as to the name? I really love these miniature things… so cute! I have n’t tried this cake before, I only had the lotus cake last year but it looks delicious… happy Lunar Year! Thank you haha. You should give it a try when you get the chance! Another very clever cake of yours Vicky. Love the story of your grandmother too. 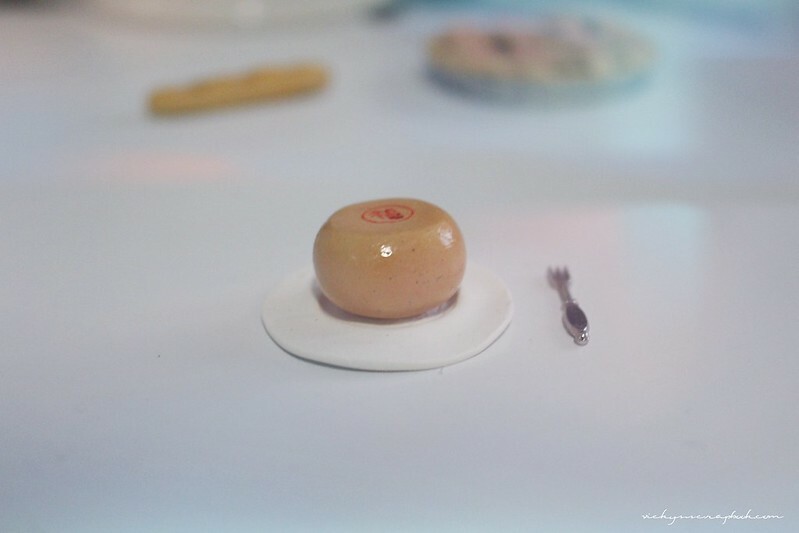 Love your miniature clay version of Nian Gao! It’s wonderful that your grandma keeps the traditions alive! The cake sounds really interesting and I’d love to try some :p And your miniature version is just too cute! Hehehe my favorite 年糕 ❤ Haha did you start eating them yet? 😀 My mouth is watering just thinking about it! And yes to the Etsy shop! I can't wait for it to be up and running again haha!